See how to fix "Task Scheduler service is not available. Task Scheduler will attempt to reconnect to it." message for Task Scheduler in Windows 10. Task Scheduler service is not available. Task Scheduler will attempt to reconnect to it. 2. In the Services window, scroll down and look for Task Scheduler service. Double click on the service to open its property sheet. 3. Now in the property sheet, set the Startup type to Automatic and then click Start to initiate the service. Click Apply followed by OK. Close Services snap-in and reboot. After restarting the machine, the error should be resolved. 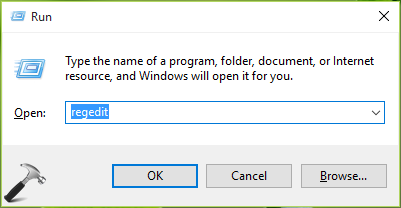 Just in case if the Start button is greyed out for you in Task Scheduler Properties window, you can follow the registry manipulation discussed below to fix it. 3. Highlight Schedule key and in the corresponding right pane, look for Start name registry DWORD (REG_DWORD). It might be corresponding to Value data as 2. Double click on it change its value. 4. In Edit DWORD Value box, change the Value data to 4 and click OK. Close Registry Editor and restart your machine. After reboot, check and you’ll find the problem is resolved. Hope this helps! Go here to learn how to fix XML errors for Task Scheduler in Windows 10. Executing method 2, led to my system taking 10 minutes to boot and another 10 to shut down, while failing to fix the issue. Reversing the Regedit change at least fixed the slow boot issue. You may want to refrain from advising people to do things that could blow up their systems, especially since the issue you aim to resolve has no known fix to date, making the risk rather pointless. I experience the same issue as Dimitri. The registry edit suggested results in disabling the Task Scheduler entirely! I’m running Windows 10, 1607, build 14393. Fix 1 is unrelated to the problem at least my situation. The Task Scheduler service was already configured for Automatic startup and running. “Fix” 2 disables the Task Scheduler service altogether (see i.imgur.com/TZJgmeB.png). Unlike the experience of other commenters, my system didn’t restart/boot slowly after attempting this fix. If I had to guess, the “problem” they noted had nothing to do with this registry change but was one or more Windows updates that applied during their restart/boot. I also tried ‘sfc /scannow’ with the result ‘Windows Resource Protection did not find any integrity violations.’ I’m trying a Windows update cycle. Will see how it goes and report back if it resolves the problem. The Windows updates made no difference. However, I realized that the Task Scheduler service is indeed running normally and various tasks are running as expected. The error, “Task Scheduler service is not available. Task Scheduler will attempt to reconnect to it”, only appears for a specific task (I have been trying to manually ‘Run’ the task for testing purposes). With that in mind, I focused on the task and found that by disabling a Network condition (Task properties, Conditions tab), the task would run normally. Previously, I had the task configured to “Start only if the following network connection is available” and had selected a specific connection I expected to be available and is required for the task to complete successfully. So, the problem could be task-specific as opposed to a broader/system-level problem/configuration. 4 is completely nonsense because it means “service disabled”! The correct value is ‘2’ (automatic). ^^ Thanks for sharing this!